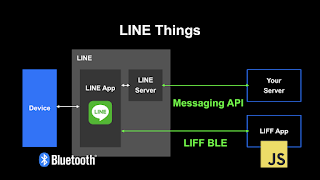 LINE’s IoT platform "LINE Things"
LINE introduced an IoT platform "LINE Things" allows Bluetooth Low Energy (BLE) devices integrated to LINE's ecosystem through LINE Things and operate by LINE's own developed LINE Front-end Framework (LIFF) application. 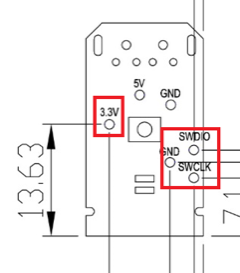 New Distributor Announcement (Turkey & Egypt) - Özdisan Elektronik A.Ş. Raytac is glad to announce that we has expanded our distributor network to Turkey and Egypt. The distribution agreement with Özdisan Elektronik A.Ş. 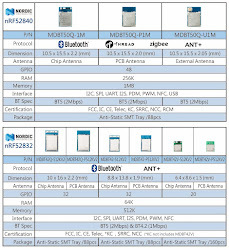 covers FAE, Engineering, Sales, Marketing and support for Raytac Corporation's full range of module lines, including nRF52840, nRF52811, nR52832 and nRF51 series in territory. To have an easy understanding of Raytac's AT Command USB Dongle, here provides the command table for reader's easy reference. 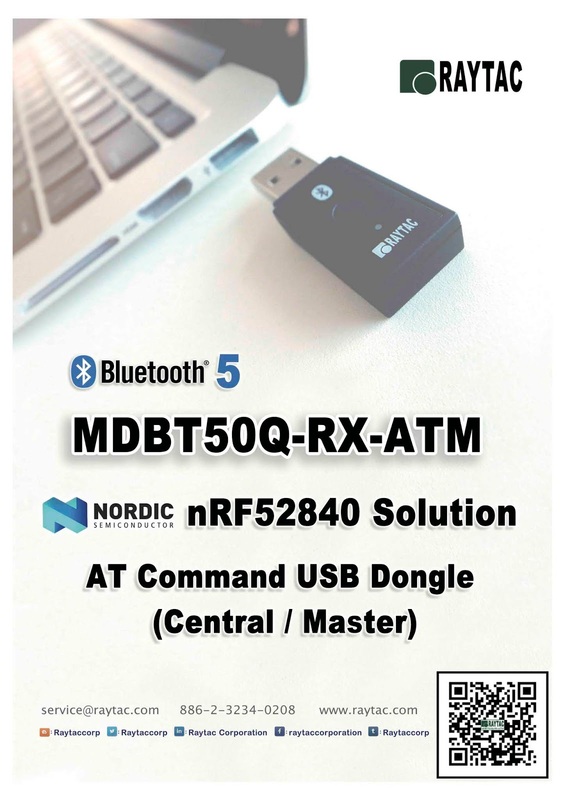 Raytac developed AT Command (Master / Central ) solution based on Nordic's nRF52840, thus fulfilled the demand of the USB interface and our mission to deliver a full coverage of our AT Command product line. 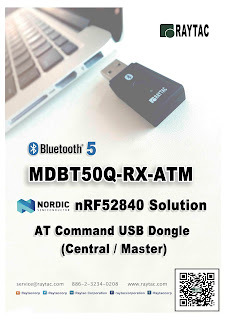 Raytac’s nRF52840 USB AT Command dongle, MDBT50Q-RX-ATM, is a BT5, FCC/IC/CE/Telec/KC/SRRC/NCC/RCM/WPC pre-certified dongle which eliminates the need for RF design expertise and significantly reduces the time to release your product to market for complex M2M IoT applications. 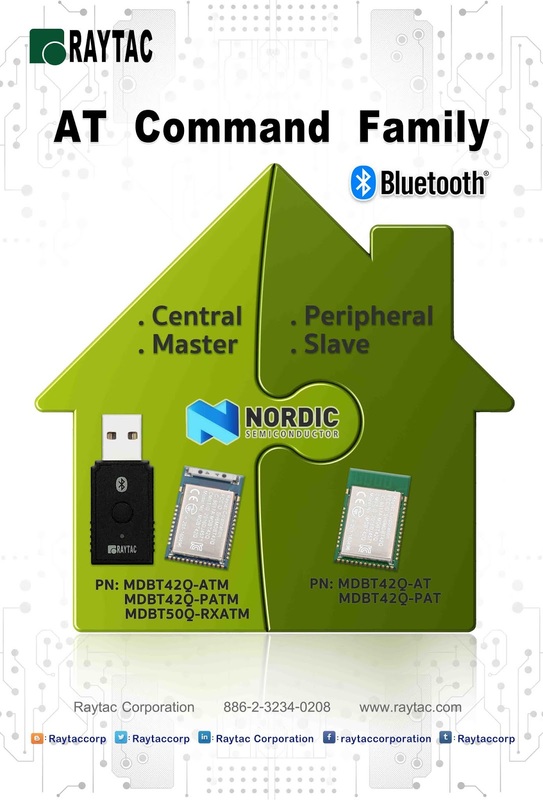 AT command modules is an easy solution that provides developers a quick breakthrough to Bluetooth connection. 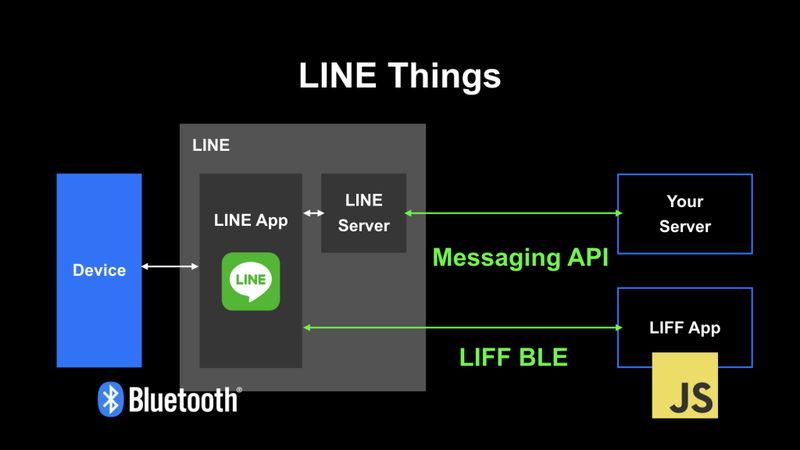 Without the need for firmware development, you simply have command settings on the MCU and can start to enjoy the implementation of bridging connectivity between devices through Bluetooth. 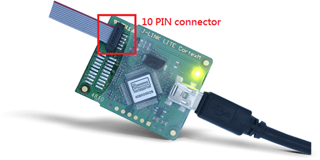 After we have completed both Central (Master) & Peripheral (Salve) role AT command module projects, the USB interface has brought up the strongest demand by developers. 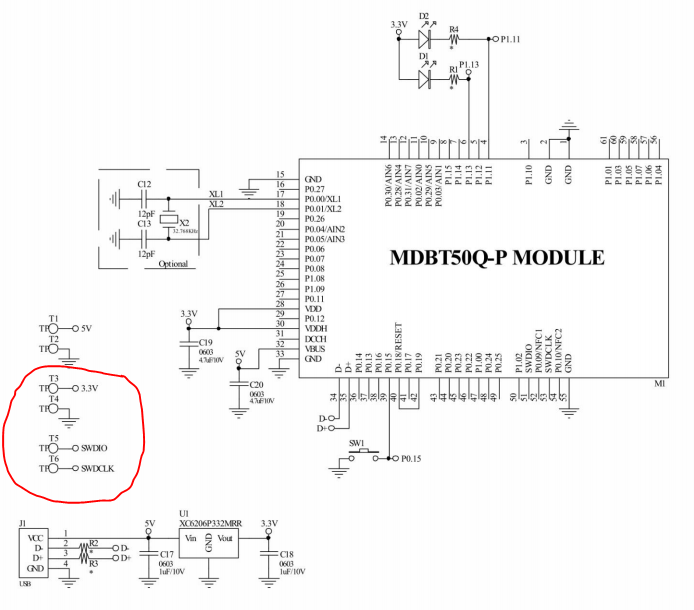 Burn your firmware - onto MDBT50Q-RX, that is. 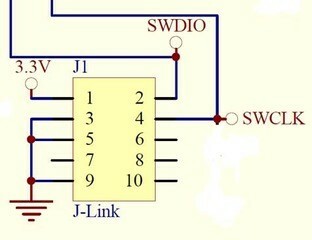 Here you will have to pay attention to the fact that you have to connect J-Link pins 3, 5 & 9 to GND. Otherwise, you won't be able to burn anything onto your dear MDBT50Q-RX.